Clerical Whispers: Blair delaying conversion at cardinal's suggestion? Blair delaying conversion at cardinal's suggestion? 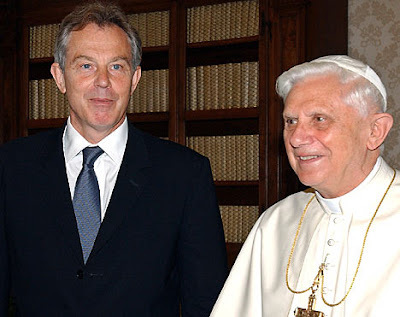 Former British Prime Minister Tony Blair intended to enter the Catholic Church before leaving office, but was persuaded not to do so by the country's leading Catholic prelate. Blair met with Pope Benedict in June, just prior to stepping down as prime minister. 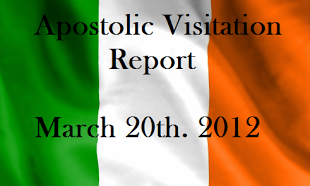 The Telegraph reports that the British leader intended to announce his conversion at that time, but Cardinal Cormac Murphy-O'Connor persuaded him that it would be indiscreet to mention private religious matter during a meeting that he held in his official capacity. The Telegraph report goes on to say that Blair has decided to delay his conversion still further since leaving office, "because of fears that it could jeopardize his work as an envoy in the Middle East." In an interview with the BBC, Blair said that his religious beliefs have been "hugely important" to him throughout his public life. But he said that he was reluctant to speak openly about his faith because "you talk about it in our system and, frankly, people do think you're a nutter."